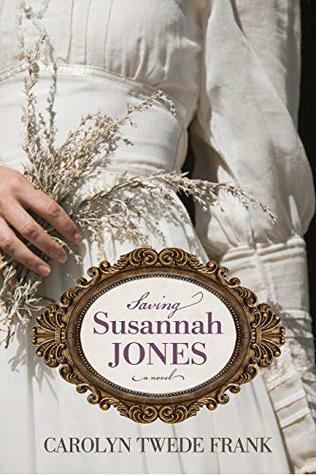 It wasn't until I was getting my review of Saving Susannah Jones ready that I realized it is a sequel to Heart of the West. It has been a year since I read the first book in this series, and Saving Susannah Jones can definitely be read as a stand alone novel. Looking at it now I can see I may have felt a little more connection to some supporting characters had I read the books closer together, but I didn't feel lost at all while I read. I was drawn into the story right away, and really felt for Susannah. She was forced as a young woman to raise her baby brother when her mother died, and she didn't get love and support from her father and other brother. She was basically a servant in her own home. Just as the relationship with her father seemed to improve, he was killed in a house fire. Susannah decided to run away in order to be free from Stanley's heartless and selfish ways. The circumstance in which Susannah and Joseph met (well, the second time) really endeared Joseph to me. He demonstrated his good character many times throughout the novel. The second half of the book didn't hold my attention as well as the beginning. Maybe it was because the initial issue had been basically resolved and the new issue felt a little soap opera-ish. The story ended somewhat abruptly. The lack of resolution of both the new issue and the fate of some of the characters was disappointing.